Big News: We are opening a campground near Ohiopyle! We are SUPER excited to announce that we are opening a campground this April on the Youghiogheny River Lake approximately 12 miles from Ohiopyle, PA.
We recently entered into a partnership with the United States Army Corps of Engineers – Pittsburgh District in leasing 55 acres currently known as the Tub Run Recreational Area. The Tub Run Recreational Area is home to a 101-site full service campground, boat launch ramp, and lake access beach area. There are two shower houses, and one additional restroom on site. The campground will be called Yough Lake Campground, and we are planning lots of improvements including the addition of camping cabins, kayak and canoe rentals on the lake, and live music at the amphitheater. Other exciting offerings at the campground will include seasonal campsite rentals and a campground host program. 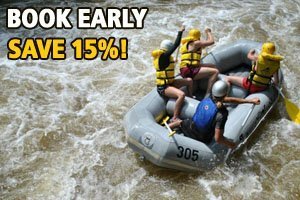 We will also be offering packages to combine white water rafting, zip-lining, rock climbing, mountain biking, and camping. Laurel Highlands River Tours & Outdoor Center will now be your one-stop shop for your outdoor adventure vacation. Check out our press release below for more details, or visit the camping page on our site. Laurel Highlands Outdoor Center leases Tub Run Recreation Area at the Youghiogheny River Lake from the US Army Corps of Engineers. Ohiopyle, PA, February 17, 2015: Laurel Highlands Outdoor Center, an Ohiopylebased outdoor recreation company, is excited to announce their partnership with the US Army Corps of Engineers – Pittsburgh District, in leasing 55 acres currently known as the Tub Run Recreational Area at the Youghiogheny River Lake. 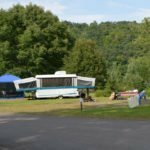 The Tub Run Recreational Area, located directly on the Youghiogheny River Lake, is home to a 101-site full service campground, boat launch ramp, and lake access beach area. There are two shower houses, and one additional restroom on site. The campground also has its own sewage treatment and water systems. Tub Run Recreational Area has been servicing visitors to the Youghiogheny River Lake for over 30 years. Unfortunately, funding for recreational facilities at US Army Corps of Engineer projects, like Tub Run, has been on the decline. In 2014, the campground was only open Friday through Sunday and was slated to close after the 2015 season. The US Army Corps of Engineers decided to out-grant the Tub Run Recreational Area, as well as the Jockey Hollow Visitors Center, and put out a Notice of Availability to lease both properties in May 2014. Mr. McCarty said Laurel Highlands Outdoor Center plans on renaming the campground to Yough Lake Campground and they are planning additional development and improvements. “We would like to update and improve the existing campsites over the next five years to include sites with full hookups: water, sewage, and electric. 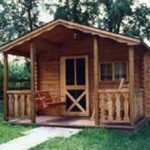 We plan on building some one and two room camping cabins with lake views. And as a continuation of our current offerings in Ohiopyle, we will be setting up a livery service renting recreational kayaks, canoes, and standup paddleboards for use on the lake. And we’d like to add some transient motorboat docks for our campers to use.” Plans for Yough Lake Campground also include adding some seasonal campsites. Laurel Highlands Outdoor Center will be opening Yough Lake Campground mid-April and plans to be open through October. Please direct all inquires to Liz McCarty, General Manager, Laurel Highlands Outdoor Center: liz@laurelhighlands.com.